HOUSTON – Thursday afternoon’s contest between the Rice Owls and the Northwood University Knights was jammed with excitement – and fans. The men’s basketball team notched their first home sellout of the season on their way to a 69-56 win over the Knights on Thursday. Despite an 11:30 AM tipoff and a 4-5 record – not to mention final exams throughout the Rice campus – the Owls drew a crowd of 4,924 to Tudor Fieldhouse. With an average turnout of 1,407 throughout the first four Owls home games of the year, Thursday’s crowd represented a 250% increase in attendance. Shu Muthyala, Collegiate Consulting’s General Manager for Ticket Sales & Service at Rice, played a major in creating Thursday’s amazing experience. His sales team created the group event School House Mania, amassing over 4,000 students from 25 local elementary schools to attend the game. To promote healthy lifestyles and challenge students to learn in a fun way, the School House Mania program included education components binding basketball with core subjects. Several elementary schools enjoyed appearances from Rice players as well as the mascot, Sammy the Owl. The Owls are sure to draw another great crowd when the team plays host to Conference USA rival Charlotte on January 25. Muthyala’s sales team has already coordinated a “Battle of the Badges” event wherein local police and fire departments participate in a pregame scrimmage to raise funds for the 100 Club in Houston. 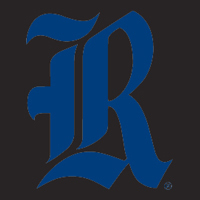 For additional Rice ticket information, please call 713-348-8253 or visit http://www.riceowls.com/tickets/rice-tickets.html.